Decades of experience set the Cedar Square Homes team apart from any competitors. We are the most qualified custom home builder in Crownsville, dedicated to building and preserving communities. Contact us our team for more information about our versatile services. Custom home additions transform the space in your house, either by expanding upon existing rooms or creating new rooms. These services are highly beneficial for growing families. When new members are welcomed into the family, whether it be a newborn child or an elderly relative, your home must expand to accommodate these changes. Home additions skip the stress of moving and make the best use of your existent space. This procedure is very complicated and should only be performed by a certified professional. The expert team with Cedar Square Homes is qualified to revive and expand your home to meet its full potential. 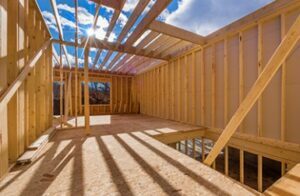 We tailor the construction of each home addition to meet the customers’ specific requirements and assist the room’s determined purpose. A beautifully crafted deck expands upon your home’s square footage and enhances the architectural design. Providing a space for outdoor relaxation, decks are perfect for clients with backyards that are landscaped or have attractive views. Decks also increase your home’s curb appeal and market value. Cedar Square Homes uses high-quality materials to construct our decks. These premium wood elements ensure a longer lifespan for the structure and prevent natural deterioration. Cedar Square Homes are expert custom home builders in the Crownsville, Maryland community. Highly skilled and experienced, our team can assist you with any home improvement task. From kitchen remodeling to new garage installation, Cedar Square Homes can do it all. Contact us today for more information about our custom home builder services!